The Nigeria Football Federation (NFF) face another FIFA suspension if Chris Giwa fails to vacate his role as president by September 8. Football’s governing body originally sanctioned the NFF in July, with government interference cited as the reason for FIFA taking action. The Nigerian government stepped in following the team’s poor performance at the World Cup and pressed ahead with plans to place a sole administrator in charge and open legal proceedings against the federation, while president Aminu Maigari was arrested upon his return to the country. FIFA subsequently imposed sanctions on the body, but that ban was lifted when the government relented on their position against the NFF. However, FIFA is threatening fresh action after NFF elections were held on August 26 while Maigari was being held for questioning, with Giwa named president. 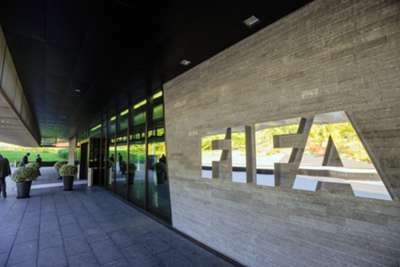 FIFA stated that they do not recognise the result of the elections, and originally set a date of September 1 to remove those who still claimed to hold positions as a result of the ballot. The FIFA Emergency Committee has since extended that deadline, but warned an immediate suspension will be imposed if their latest request is not met. Nigeria are due to face Congo and South Africa in Africa Cup of Nations qualifiers on September 6 and 10 respectively. A FIFA statement read: “Following the decision by the FIFA Emergency Committee, FIFA has sent a letter to the Nigeria Football Federation (NFF) confirming that the NFF will be suspended with immediate effect should there still be persons claiming to have been elected to NFF positions on 26 August and occupying their offices on Monday, 8 September. “The decision follows events linked to the NFF general assembly held on 26 August 2014. Some members proceeded to hold elections in the absence of the NFF President, who was being held by security forces for questioning. “In a letter sent on 29 August, FIFA confirmed that it would not recognise the results of the aforementioned elections and that the matter would be brought to the respective FIFA bodies should there still be persons claiming to have been elected and occupying the NFF offices at midnight on 1 September 2014. “Given the current circumstances, the FIFA Emergency has decided to set a new deadline of 8 September. “Should the new deadline not be respected, the NFF will be automatically suspended until the board claiming to be elected vacates the premises of the NFF and the NFF General Secretary is able to perform his work without interference.